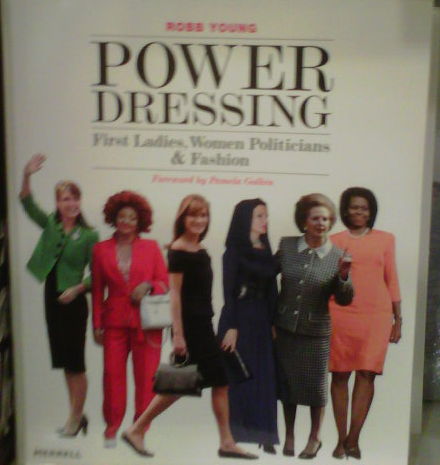 This book Talks about the power of dressing up and knowing what to wear especially when you are considered a public figure at your state ,aka the First lady , I vote for Sheikha Mozah Al Misnid of Qatar to be one of the most fashionable women in the middle east . To me she is very chic , conservative and sophisticated , she matched the three together making her stand out in the fashion world .What makes me even honor her more is that she presented her self with respect to the Islamic traditions and ethics giving an impressive image of the Middle east and Arab world showing both how enlightened we are to fashion and at the same time keeping in mind our traditions . wow…I love her style! The beige dress is my favorite. 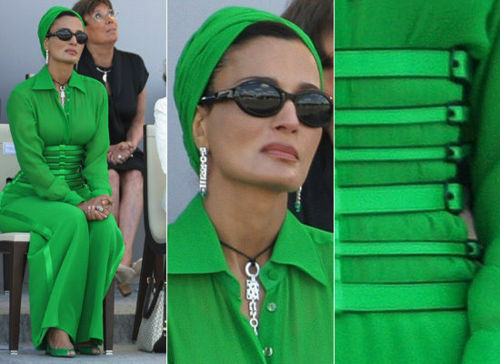 officially we share the same taste in fashion. I want to find this book and read it!